When your child plays, they learn about them self and their surroundings. This includes how to coordinate their body movements, talk with friends, apply rules, and more. But the learning process is even broader than this. Play is more than you think; it is a way for your child to familiarize themselves with the world while exploring and testing their own limits. At the same time, they are engaged in an activity that provides them enjoyment or amusement. 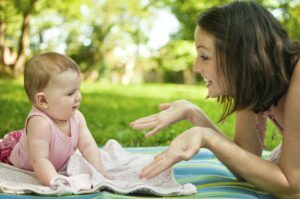 Play helps them learn about things such as the earthworm they find on the ground, how to avoid arguments with others, their favorite make believe character during role play or that mom does not like when they yell inside the house. Promoting playtime helps your child learn about their skills and abilities, while interacting with others and their surroundings. Play begins early. 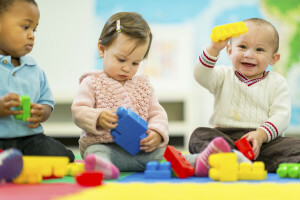 When baby studies and interacts with the things around them, whether this is by putting a toy in their mouth or touching a new textured object, they are “playing.” Part of exploring their environment also includes figuring out how to get your attention such as when baby coos or babbles at you. It is important to remember playtime helps baby to continuously master and reinforce concepts that become important milestones. Older children also gain something additional while they play—they discover their own interests and passions. 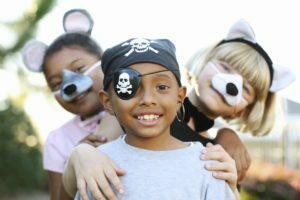 Your child may find they have a love for a specific activity such as art or acting, or possibly for an animal or character. Playtime will encourage them to continue exploring their own interests and build skills they will use in the future. All children should have time for play. It is the building blocks for establishing confidence, coping abilities, flexibility and positive interactions with others. 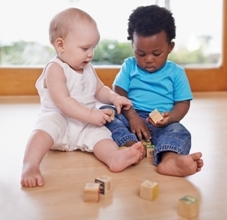 Through play, your child will be able to apply these skills as they grow into a young adult. Learn the 6 different stages of play and new skills learned at each. Next Next post: What are Augmentative and Alternative Communication?